This week is Rabbit Awareness Week so it’s the perfect time to treat your pet bunnies to a bit of extra love, care and attention. 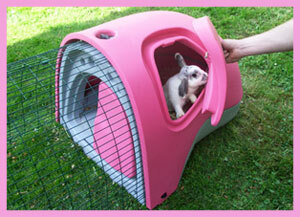 But, if you want to give them even more of a treat then why not buy upgrade their boring old hutch to a chic new Eglu? Developed with leading animal behaviourists, the Eglu Pet is a modern, easy to clean and safe home that allows rabbits to express their natural instincts. With a house and run connected they can come and go as they please, choosing to nest when they want some privacy, or hop around and nibble on some grass. 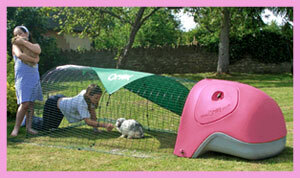 And it’s great for you too – just imagine never having to carry your rabbits from hutch to run again! If you haven’t kept rabbits before but you’re thinking about it, now is the perfect time! Click here to read more about the Eglu!